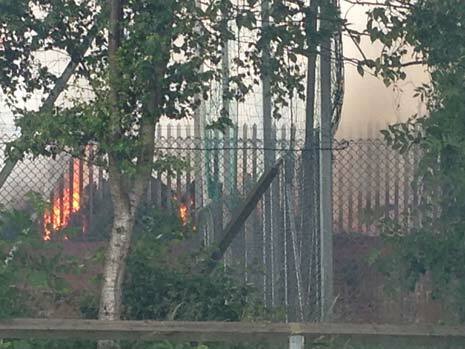 We have just received an update from Derbyshire Fire Service who tell us that the crews fighting the fire at Stone Lane, New Whittington are now being scaled down, though the situation is still ongoing. Five crews including engines from Bolsover and Dronfield have attended the blaze, described as "challenging and well developed" by the Fire Service. 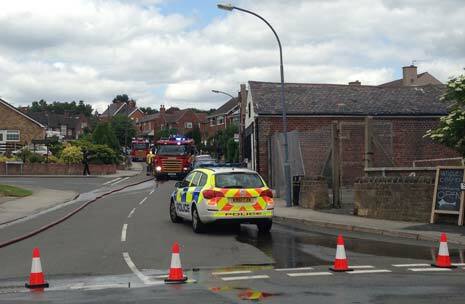 Fire crews are at the scene of what's being described as a 'significant fire incident' on Stone Lane New Whittington. We are still waiting for details from the fire service but it's believed that a small unit housing a pottery became ablaze at around 11.45 am. 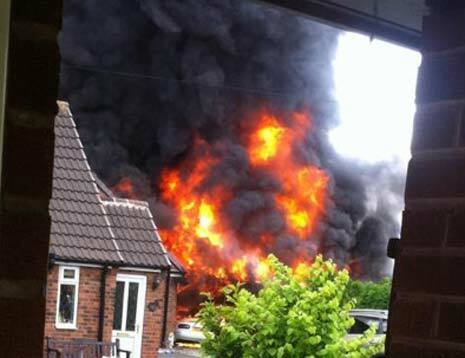 The Fire Services twitter feed reports that 5 pumps are currently at the scene. Onlookers say that there was an explosion, believed to be a gas canister, shortly after the fire started. No one has been injured in the blaze and surrounding properties have been evacuated whilst the fire is contained. 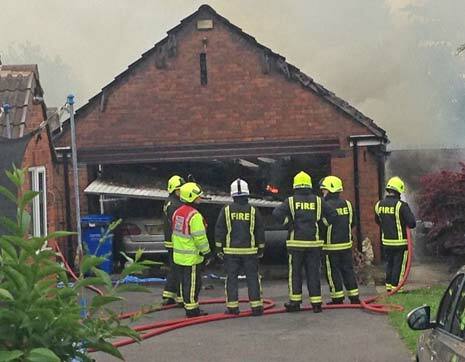 There is some damage to one of the neighbouring houses which border the property - their garage and three cars have fallen victim to the fire (see picture above). 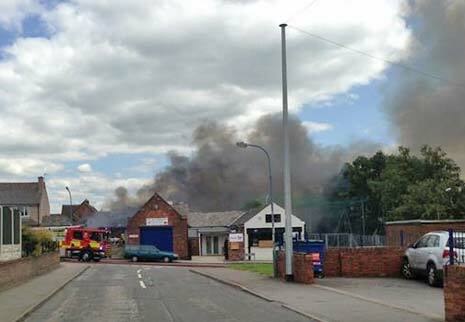 The local school which is close proximity has been visited and advised by Fire officers and children will be kept indoors this afternoon. 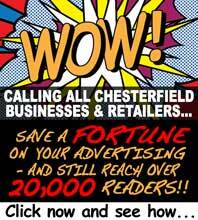 We’ll have more as we get it ….